The new Broadway play To Kill a Mockingbird is now open on Broadway and so many stars attended the opening night performance! Anne Hathaway, Hugh Jackman, and Jessica Chastain were among the celebs who attended the star-studded performance on Thursday night (December 13) at the Shubert Theatre in New York City. 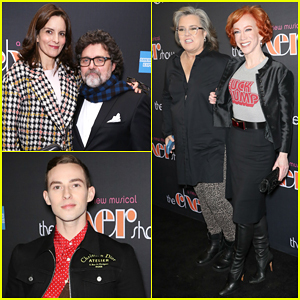 Uma Thurman, Samuel L. Jackson, Tina Fey and her husband Jeff Richmond, Andrew Rannells, Zosia Mamet, Adam Rippon, and many other stars were at the performance as well. Tickets are currently on sale for To Kill a Mockingbird through next September. 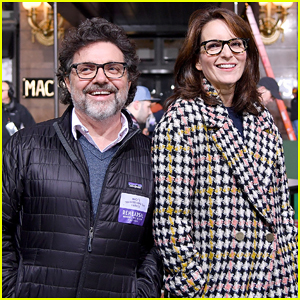 Tina Fey is all smiles as she poses alongside her husband Jeff Richmond while attending day one rehearsals for the 2018 Macy’s Thanksgiving Day Parade held on Monday (November 19) in New York City. The 48-year-old actress and Jeff, 57, were in attendance to support their cast of Mean Girls on Broadway, who are set to perform during the parade. Also in attendance at day one rehearsals was fellow performers Laura Benanti and Ella Mai. Other Broadway productions set to perform include My Fair Lady, The Prom, SUMMER: The Donna Summer Musical, Radio City Rockettes, Dear Evan Hansen, Head Over Heels and King Kong – make sure to tune into the parade from 9am-noon in all timezones on NBC! 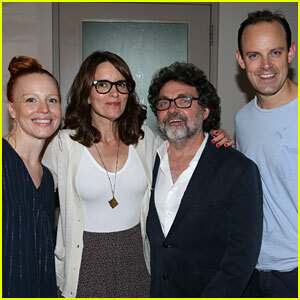 Tina Fey and her husband Jeff Richmond hang out backstage while stopping by the Broadway production of My Fair Lady! The 48-year-old actress and comedian and the 57-year-old composer checked out the performance on Tuesday (July 24) at Lincoln Center Theater in New York City. They snapped a pic with two of the show’s stars, former Six Feet Under actress Lauren Ambrose and The Crown actor Harry Hadden-Paton. ICYMI, Tina and Amy Poehler recently reunited for an improv show at Carnegie Hall.